Let us help you find the perfect period appropriate lighting solution for your home or business. We provide our customers with advice and purchasing recommendations based on over 30 years of industry experience. We are knowledgeable about the products we sell and stand behind the quality of our restoration work. We ensure that our customers find unique products without sacrificing on modern energy efficiency or safety standards. Our inventory of expertly restored antique fixtures changes regularly. We encourage you to visit our showroom to see a large array of styles and fixture types ready to be taken home and installed. In the meantime please browse our image library by category featuring examples of fixtures we have restored recently. If you like a particular item we will gladly search for a similar item if it is not already in our showroom. Not local to the SF Bay Area? Check out our Etsy store. We are eager to find you that one of a kind Fixture that is sure to be a conversation piece. Classic Illumination has provided quality hand crafted and expertly restored lighting for over 35 years. 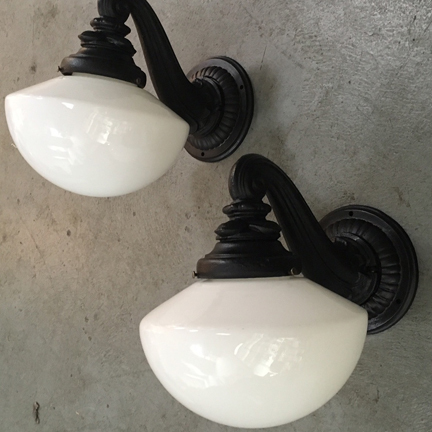 View our current inventory of fully restored antique fixtures ready for installation in your home or office. We sell through Etsy and ship internationally. On your behalf, we use our industry knowledge to locate and acquire a specific type of fixture, then we restore it to meet your needs. We would love to hear from you. Let us know how we can best serve you. Contact us to schedule an appointment to visit the showroom. Appointments are taken Monday - Saturday. Last minute notice is fine. For a limited time, Shop our End of Summer Sale. 20% Off!! Visit our Etsy Site or stop in our showroom.